The Community Foundation of Northwest Mississippi awarded MOSD a grant in the amount of $7,500 from the Early Childhood Education Endowment for the 2017-2018 Music Education Program. 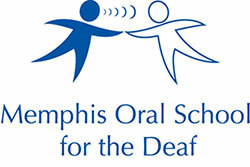 This grant will completely fund several musical elements that help our students learn listening and language skills. MOSD sees value in exposing our students to the Arts through this Music Education Program. Music therapy has proven to motivate communication and self-expression among our students who may otherwise have a difficult time expressing themselves. It creates an avenue for our students to discover sounds and develop an interest in learning and practicing sounds that become words in the classroom. Grant funds will completely fund on-site monthly visits from Iris Orchestra, weekly sessions of “Do Re Mi Music Therapy” and our Suzuki Violin Program, Play It By Ear. Iris Orchestra is made up of traveling musicians who enrich listening experiences for our students with a variety of instruments and sounds. They engage our students in musical activities with hands-on opportunities to play instruments and repeat rhythms. “Do Re Mi Music Therapy” program provides weekly music sessions to our preschoolers with hearing loss to enhance their listening skills and speech and language development. The Play It By Ear Suzuki Violin Program includes our 5-year old MOSD students. It is one-year program that teaches our oldest students to play violin by listening for pitch and rhythm. Our graduating class will practice weekly with the goal to play a song by ear at graduation in May.